My wife Karen has a huge crush on Sean Connery, the older and distinguished Sean Connery. Think "Hunt For Red October". I use Connery's embarrassing "red diaper" shot to scare the bejeezus out of her. 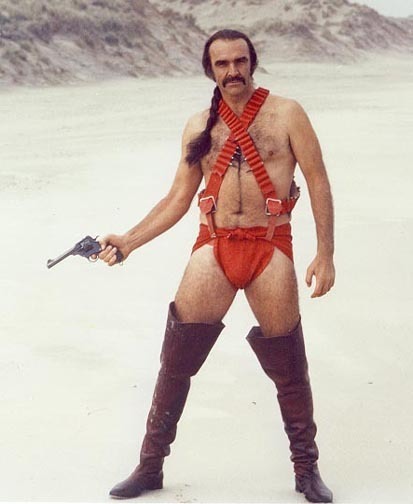 And yes, there are critics who try valiantly to defend Zardoz.